Oprah is interviewing sax player Kenneth Gorelick -- known around the world as Kenny G.
"It's like you are talking to, and doing a few other things with this instrument." "Well I've never taken any music lessons so — " "Amazing!" " — I don't really know exactly what I'm doing." In 1993 he played at Bill Clinton's inauguration. By 1996 he was starring in golf commercials. "My driver use to be my least-favorite club in the bag, until I got the Great Big Bertha driver." Kenny G had hit his peak. "Tell me that part about Kenny G again"
"This is smooth jazz, 106.9"
Like, where the hell did smooth jazz come from? Let's go back to Clinton's inauguration. Kenny G actually wasn't the only saxophonist performing. sax players to serenade the jazz-loving president. Kenny G, where this story begins. There's no question: Kenny G has one idol and he admits to it. In the late '60s and early '70s, straight jazz was all but gone from pop radio. The music was becoming more experimental, and albums like Miles Davis' "B*tches Brew"
covers of huge pop hits. 1966 cover of "Goin' Out of My Head." with strings and woodwinds - instruments that were more familiar to pop radio listeners. As this Billboard article put it, "The chasm between jazz and popular music was narrowing." Grover Washington defined crossover jazz in the '70s. His fourth album with Taylor was "Mister Magic." Just looking at the cover, you know you're going to listen to songs that are smooth as ****. with fairly slow harmonic change that's kind of grooving. On top of that is Grover's saxophone playing a simple, yet infectious melody. and it was difficult gaining it back. he said, "Cat can play." was equivalent to a bushel of five-star reviews. Any jazz player will give you a list of things that they don't like about it. They don't like the lack of technical virtuosity. They don't like the lack of harmonic interest, but in my opinion what trumps it all is popularity. When you're dealing with art cliques, popularity is like poison. going to roll their eyes at jazz guitarist, George Benson's, "Breezin' " in 1976. It was the first jazz album to ever go platinum. a strikingly close resemblance to "Goin' Out of My Head." And people were mad in the straight-ahead jazz industry. To them, he chose success over art. This Downbeat magazine review of George Benson says it all. movie - such is the relationship between the art and artist." But, that didn't really matter to the public. and won the Grammy in 1977 for Record of the Year. And you couldn't say that wasn't jazz in 1976. By the end of the '70s, dozens of musicians followed Benson and Grover's breezy sound. pop-jazz recording as their theme song. Well, radio didn't know what to call it. This reporter just said "Not Quite Jazz, But Pretty Stuff." "It was like, what do we call it?" A female radio listener entered the room. Then she goes, 'It's smooth jazz.' "
"Yeah, that's what it is." "It really struck a lightbulb with everybody that was behind the glass watching." Turn it on 94.7 - okay. "Ninety - four - seven." That's it that's it, sh sh sh sh shhh! "On behalf of all of us at Metropolitan Broadcasting, welcome to 94.7, The Wave." What you just heard was the moment one of the first official smooth jazz stations went on the air. "Within a few months KKSF in San Francisco launched. CD101.9 in New York launched." "It was a tipping point in the format for sure." what some would consider jazz music. Even some Hall and Oates tunes." "You know, vocal tracks that would help glue it all together." "Smooth sounds for a rough world." And make no mistake, Kenny G was at the center of all of it. "CD101.9, it's called "Silhouette" and the artist, of course, Kenny G."
"Kenny G can blow the storm up." "Ladies and gentleman, Kenny G!" Kenny G was known just as much for his hair as he was for his saxophone playing. "He was the cool white boy. He was just a cool guy who played the saxophone." "And I'm going to go ahead and say it, it's the money." "He made so much money doing it." "I don't know what to say, I would have never expected I'd win this thing." for holding a note for over 45 minutes….. wait what?! songs that you'd like to hear on The Wave and fax them to us." "We would get hundreds and hundreds of faxes, like within an hour the fax machine starts rolling." Smooth jazz seemed like it would dominate forever. I'm sorry I meant to say the "Portable People Meter." It's this little beeper -- people believe it killed smooth jazz. the signal of radio broadcasts. Basically, it picks up audience listenership automatically. It replaced a decades-long practice of using paper diary entries to measure audiences. "People would write down for a week what they listened to and they would turn it in. Very easy for people to do." and we want you to do this for a year." But it often didn't work with smooth jazz. the beeper just couldn't register it. before and after PPM - in each instance they either changed formats or shutdown entirely. "I think it's a reflection of what our economy did. Our station went off the air when everything crashed." straight-ahead jazz, it didn't care so much about challenging the listener either. But dig deep into smooth jazz's history and you'll find some really exciting music. "There was an album Herbie Hancock did call the "New Standard." "Oh man that was good. I'd come off there talking about that." "I was like, Oh this is what this is why I'm doing what I'm doing." Or go even further back to Grover Washington Jr.'s "Winelight." "And just listen to it as you're cooking dinner or something." "It's just chill, man. And it'll give you a feeling for why people fell in love with this music. 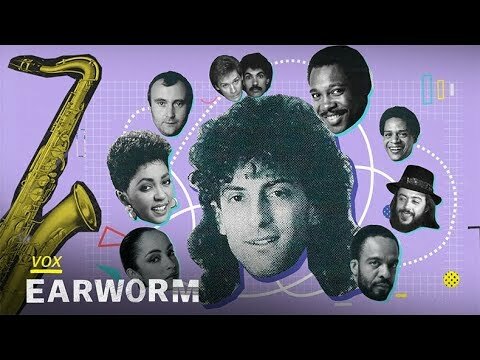 I hope to tackle so many more stories on this genre of music in future Earworm episodes. which is a Spotify playlist full of amazing smooth jazz songs that will definitely make you a convert.